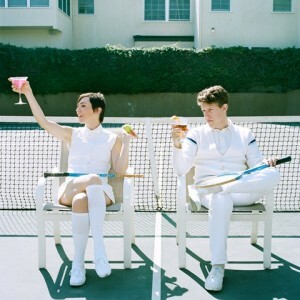 The LA-based indie duo The Bird And The Bee consists of members Inara George and Greg Kurstin. 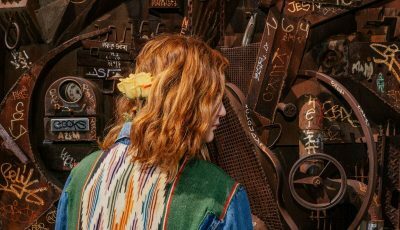 George and Kurstin met while the two were working on her debut album and they decided to collaborate on a jazz-influenced electropop project. Their debut EP, “Again and Again and Again and Again,” was released in 2006, followed by their self-titled debut album in 2007. They went on to put out “Ray Guns Are Not Just the Future” in 2009, “Interpreting the Masters Volume 1: A Tribute to Daryl Hall and John Oates” in 2010 and “Recreational Love” in 2015. 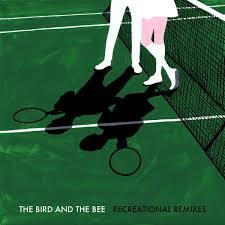 Through the years, The Bird And The Bee have also released several EPs including their latest “Recreational Remixes” which was put out just this summer. Thanks for your time! Now that we are into the fall of 2016, what are some words you would use to describe it? What were some of the highlights of 2015 for the band? Probably releasing our new record. It had been a long time since we had put anything out and it was exciting to see that there were people out there that still were excited to hear the music. Growing up, did you all always want to be musicians? Can you recall your earliest musical memory? And specifically, how did The Bird and the Bee come to be? Where did the name come from too? I didn’t really think I’d end up playing music until I was in my early 20’s. I think Greg was younger when he knew he wanted to pursue a career in music. And the bird and the bee might be my most organic musical collaboration. Greg and I met and started writing and recording music together and from there it kind of took on a life of it’s own. And fortunately for us it has continued to be an easy thing we do together. The name came from a song from our first record. I first learned about your music through the show, Grey’s Anatomy soundtrack. I believe it was the first season of the show. Do you think that TV still plays a major role in developing band’s fan-bases? It’s embarrassing to admit, but I have no idea. I’m sure it does. Does Alex Patsavas still do the music supervision for that? She’s amazing! Since your first release in 2007, you’ve consistently put records. How do you continue to stay motivated and inspired? Well, our last record took 5 years to make. Not that we spent 5 years making it. But had to sneak in time here and there to finish it. Our lives have gotten busy doing other things. Fortunately, I think Greg and I get a lot of pleasure making music together. I don’t think we’d make the time if we didn’t. How do you think your sound has grown since you started making music? 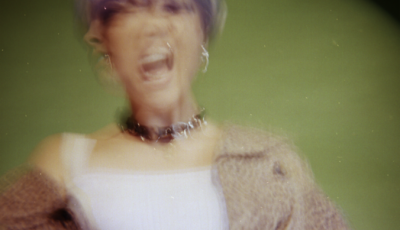 How is your latest album, “Recreational Love” different then anything else you’ve put out? We try and hope to stay present musically. Of course we want to make sure that we stay true to our original sound. But we also like to challenge ourselves to make something new. I think “Recreational Love” has a little of all of our records in it. And I do think our last record “Tribute to the the Masters” influenced us a great deal. Can you talk about putting out “Recreational Remixes”? Why did you decide to remix this album? It’s always fun to see how someone else might interpret your music. I’m a HUGE fan of your 2010 collection, “Interpreting the Masters Volume 1: A Tribute to Daryl Hall and John Oates.” I’d love to know more about this album came together. Have you both always been big fans of Hall And Oates? We knew we wanted to do a tribute to one artist. And Hall and Oates seemed to be a perfect fit for us. It was very fun and super challenging to do. Their music holds a special place for us and for so many people. We really haven’t been touring much at all. But we’ve been busy. Greg is working hard writing and producing records with other artists and we both have kids so getting away is hard and working together is hard. But we have started on a new record. The next “Interpreting the masters”. 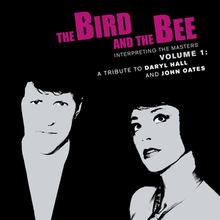 I know this must be a really difficult question to answer but can you name a few of your favorite songs by The Bird And The Bee? Who are some of your favorite artists and what bands continue to inspire The Bird And The Bee? Who would you love to work with in the future? This is always a hard question for me to answer and lately it’s been even harder. I barely listen to anything new. I have kids who sort of dictate my music selection. I love a lot of different music and can be inspired by so many things. And I love to work with new people. It’s always inspiring. The bird and the bee has always been about fun. There’s no big message really. We just hope to make some beautiful pop music that might bring you some joy. 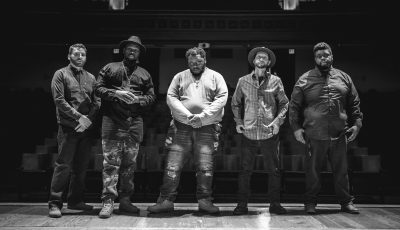 The LA Up and Coming Group, HARLETSON Discuss Their Fall Tour, Biggest Inspirations and More!